David works exclusively in oil paint, which is very thickly applied with a knife to produce a three-dimensional, almost sculpted, image. This adds great depth and produces a surface that responds subtly to the changing light in the display environment. 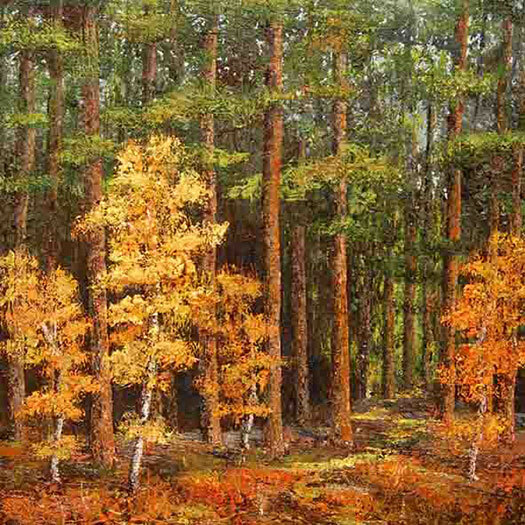 His subjects are mainly landscapes, often featuring ancient and historic man-made structures and native flora. Recently he has turned his attention to trees, familiar objects in our environment, but too often taken for granted. Where, previously, they had previously featured very much in the background of David's paintings, now they are often the central focus of the work. 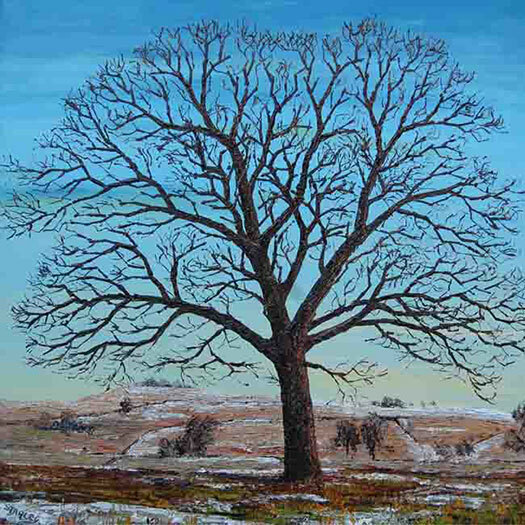 By portraying the forms and character of individual specimens, or focusing in on the texture of bark and other elements, the viewer is led to a greater appreciation of these living structures. 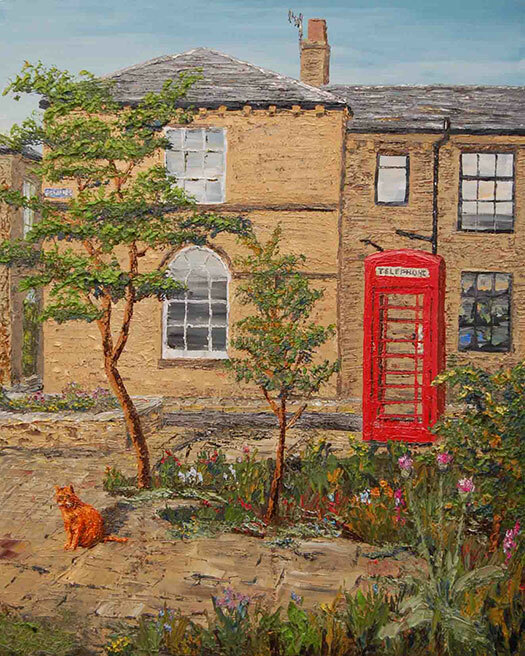 David has lived in Saltaire since 1999, and enjoys its warmth and genuine community spirit, particularly towards visual arts events; his own home regularly opens for the Saltaire Art Trail in May each year. His art career got off to an unlikely start. Although as a child he enjoyed painting and drawing he was discouraged from following at school in favour of more 'useful' subjects. After many years in different careers and around the world his hobby finally became his profession. Arguably, the gap between has been beneficial and other work, particularly as an archaeologist, has continued to influence his outlook and subject matter. 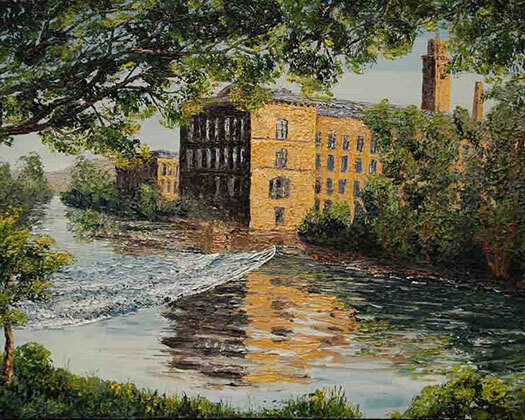 Recently David moved to a new studio, at the Dockfield Road Creative Arts Hub, a few minutes' walk down the canal from Saltaire. 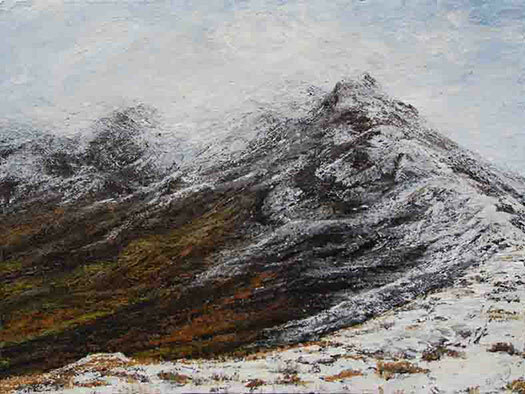 It can be visited by appointment and his work is exhibited both locally and further afield. Full information can be found on his own website. All images copyright David Starley, and reproduced here with permission. Please contact David Starley, the copyright owner, if you have any queries.